daily look | Love is the Movement. Love may be in the air, but I wish it brought spring to the air with it! Now this is most certainly not a look for the snow, but how awesome are the sky's colors with the snow. I just couldn't help myself. 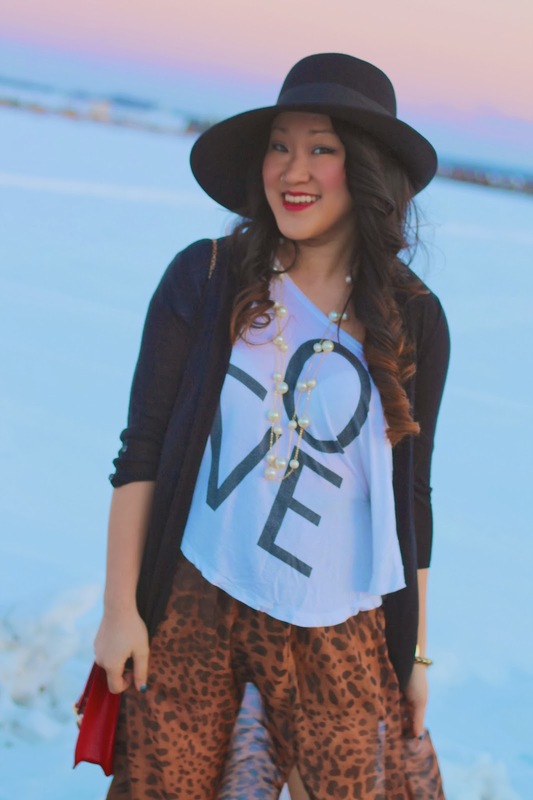 A super comfy but chic look, that's kind of my thing. 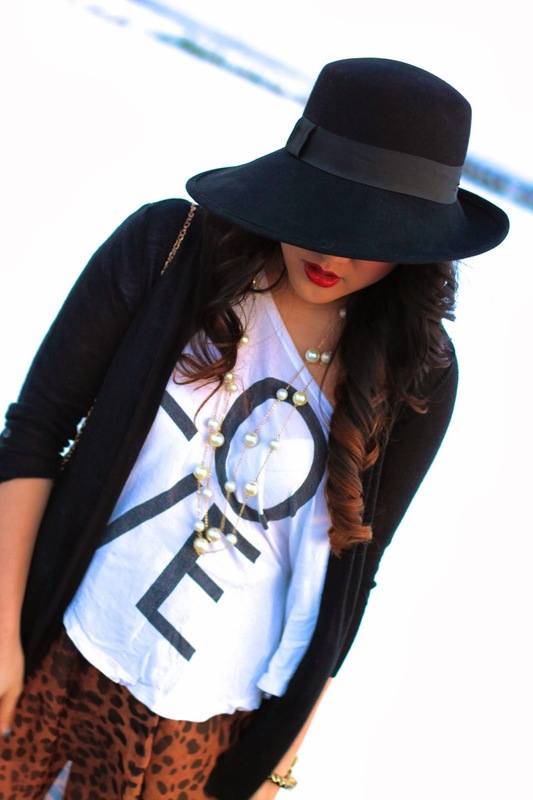 I love the idea of wearing a t-shirt with, as my boyfriend calls it, "the fancy old lady hat". It fun and a bit glam. Now yes I am a female and of course I like flowers, lilies- actually. But I am not the biggest Valentine's day advocate. I prefer to live with special moments and the giving and receiving of thoughtful little gifts or dinners that are more useful throughout the year rather than crammed into one silly day. I feel most girls do not actually wants that life-size teddy bear or singing gorilla, they just want to know that they are important. This valentines day, I will be working. WAH -wah! But we're used to doing "V-day" dinner on our own day anyway, I'm almost always workingggg. We make up our own rules! Anyway this look is first of a Three-Day Red-Themed OOTD Diary titled "Looks to Love". This is the 'Dressy-Casual', tomorrow there will be the 'Casual-Cute' and Friday will be an old glamour 'Formal' styling. Very cute! 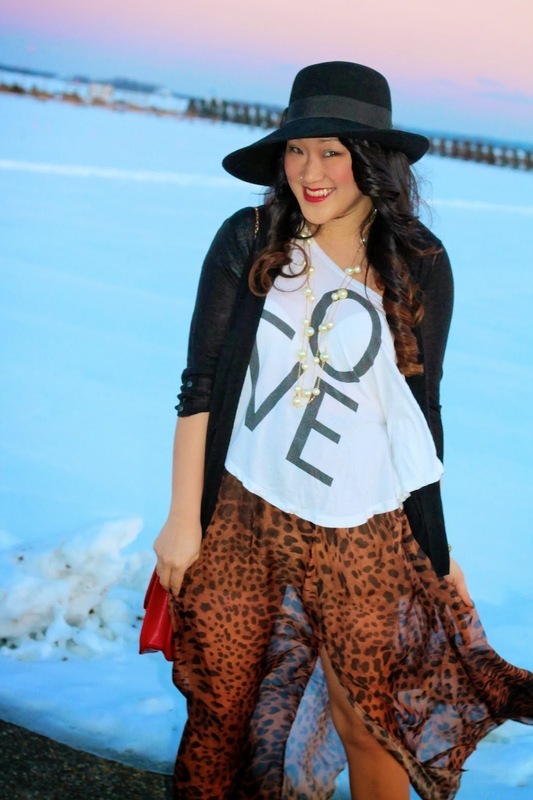 You nailed the look, loving the leopard skirt with your red accents. The hat was a nice touch, and so were the pearls. you look amazing honey! 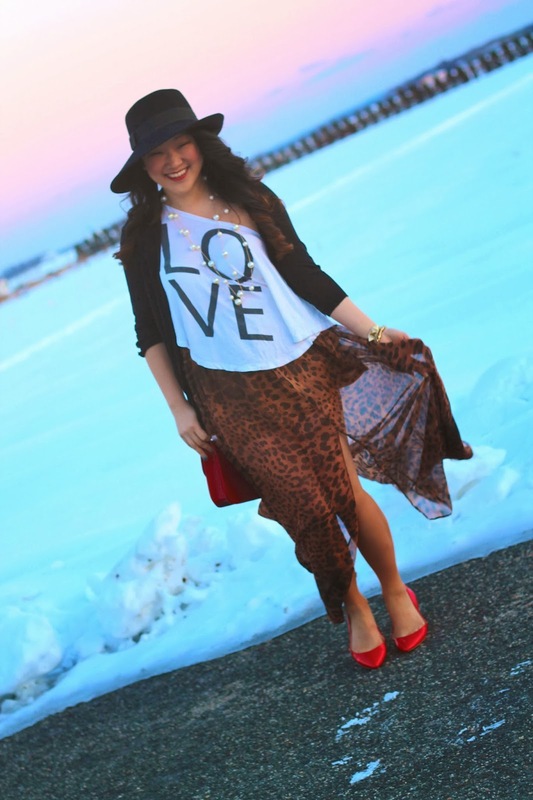 The skirt is great and I love your hat! Oh yes it was cold! haha. What we do for the love of fashion! I thought it would be cool to shoot on the frozen beach.... of it was cool alright! haha! Thanks for your sweet words!